An earthly heaven for young and older. Faliraki is considered to be one of the most cosmopolitan resorts. It is located on the east coast of the Island and just 15 km away from the city of Rhodes. In this village of Rhodes Island, you will find luxury hotel units, all kinds of shops, including restaurants and taverns, bars, disco, supermarkets, bakeries, souvenir, small shopping centers, Luna Park and so other exciting emotions. The sandy beach of Faliraki with the crystal clear waters is one of the largest and perhaps the most well organized beach on the island. It is endless but not monotonous. The Faliraki beach, satisfies even the most demanding visitor because there are places with fine golden sand and points with rocks or pebbles. Except from the exciting nightlife and the amazing beaches, the highlight here is the unique Water Park. In one of the biggest Water Parks in Europe there is a game and an activity for everyone. Water slides, artificial waves, pools with “cool” games for all ages and really endless summer fun. 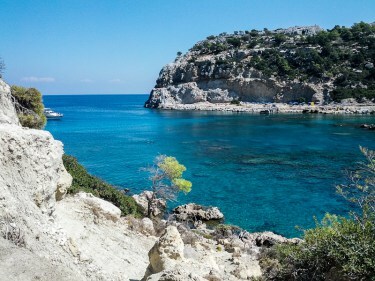 Definitely, the Faliraki is the best place to start exploring the island of Rhodes. Original Source: Go-Transfers in Rhodes.